Amid unprecedented levels of debt, the Bank of Canada warned last week that the disproportionate distribution of household debt would affect already-burdened consumers the most, thereby amplifying the effects of a recession. 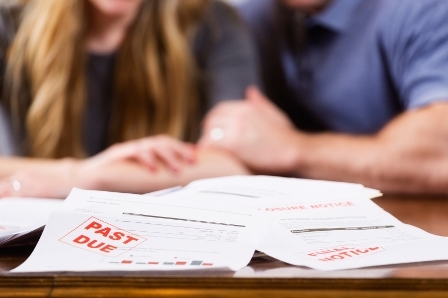 BoC deputy governor Lawrence Schembri said in a February 24 speech that approximately 720,000 homes, many of whom have younger owners under age 45, account for around 20 per cent of Canadian household debt. This translates to nearly $400 billion in unpaid accountabilities. In the event of a recession, Schembri said, these disadvantaged homes would have to cut their spending to a greater degree compared to most, possibly even missing out on servicing their mortgages and thus placing the burden of losses on banks and insurers alike. Boc figures revealed that this segment has doubled in size since the financial crisis, from 4 per cent to 8 per cent of debt-holding households. If unemployment remains unabated, Schembri said, this proportion of unpaid debt would represent an existential threat to Canada’s financial system. “Our simulations suggest that in response to this shock, household arrears rates could rise significantly, from 0.4 per cent in 2014 to reach as high as 1.8 per cent after three years,” Schembri stated in his speech, as quoted by The Insurance & Investment Journal. “About 20 per cent of this estimated rise would be attributable to the increase in debt and its greater concentration among highly indebted households since 2007,” he added.